Healthcare professionals need a consolidated 360° view of meaningful patient data to deliver safe and efficient care. Maincare IC is our new generation EPR 3.0 based on an innovative full web native architecture. Maincare IC offers a user-friendly interface allowing a smooth, easy and intuitive navigation. Customizable per specialty (internal medicine, surgery, revalidation, geriatrics, social healthcare…), Maincare IC suits all needs of healthcare institutions: hospitals, clinics, social care institutions. It facilitates the coordination of all medical processes, from patient admission to real-time follow-up of hospital stay and closed-loop medication management. 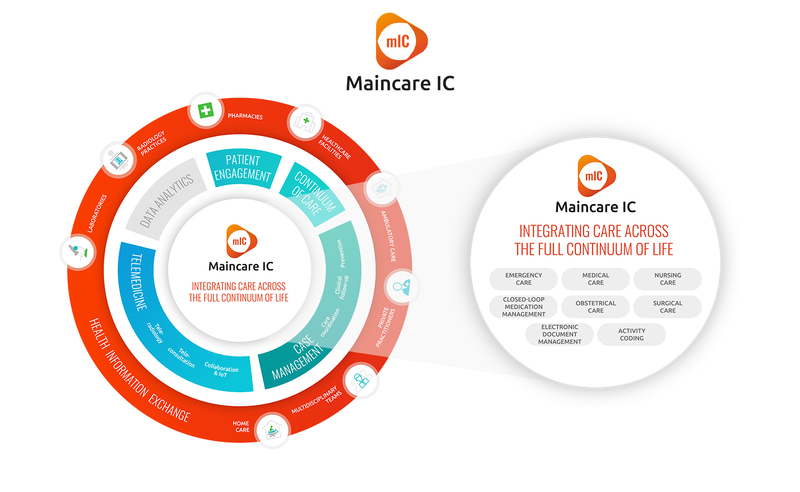 Maincare IC is scalable to an entire healthcare territory (region, country, state, etc…) and natively interoperable with our population health platform.